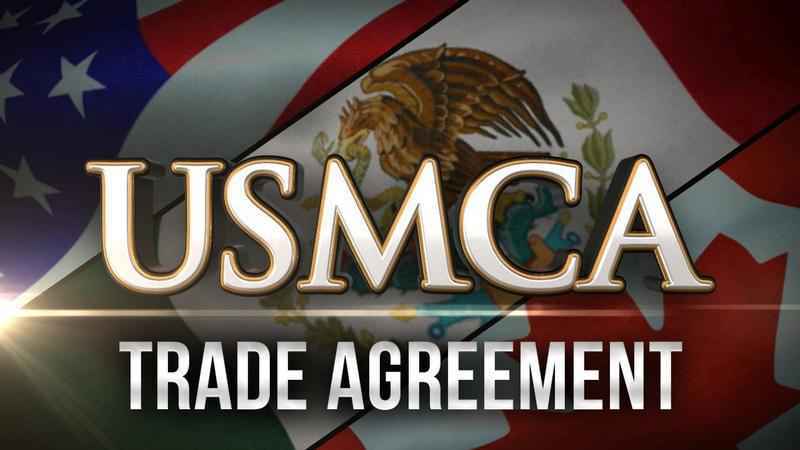 BILLINGS, MT - R-CALF USA fired a shot over the bow of the Trump administration's trade agreement with Canada and Mexico charging the USMCA doesn't achieve any goals towards ending unfair trade practices for America's ranchers and is unduly influenced by globalized, industrialized agribusiness conglomerates. A letter sent by R-CALF to U.S. Trade Ambassador Robert Lighthizer, notes that the National Academy of Sciences has issued a report describing that during the past 20 years, the production of food by large industrialized agribusinesses has far surpassed the production of family farms and ranches. It states these large agribusinesses now dominate America's agricultural production, today capturing 57 percent of our nation's food production. The group points out that big agribusiness's capture of the U.S. food production system from family farmers and ranchers was facilitated by two decades of trade agreements that discouraged buying and hiring American, promoted unfair competition, and granted globalized oligopolies free reign to build their new empires. The group then states that not only do the large agribusinesses now dominate America's food production; but also, they now dominate America's trade policy considerations within the Trump Administration. "The USMCA (U.S.-Mexico-Canada Agreement) reveals that you and your negotiating team were heavily influenced by advisors aligned not with independent U.S. farmers and ranchers; but rather, with large agribusinesses intent upon capturing the U.S. food supply from our family farmers and ranchers," wrote the group. The letter identifies three notable failures in the new trade agreement: Consumers are not afforded transparency as to the origins of beef sold in America (no country-of-origin labeling or COOL requirements); the agreement's rules of origin allow large agribusinesses to misuse the U.S. cattle industry's trademark - its "Product of USA" label - by affixing it on imported beef; and the agreement authorizes large agribusiness to unilaterally increase the volume of undifferentiated imports to drive domestic cattle prices down because there is no safeguard to protect against import surges.